In what was a futuristic dream world of robotic assistants and self-starting appliances, the “smart home” and the “smart office” are now a global reality. Thanks to powerful, forward-thinking IoT technology, both appliances & devices provide services within brick and mortar homes and offices have not only been reimagined; they have been reborn - with a brain and a self-generating to-do list. Homes and offices can now figure out what they need to run themselves, taking previously manual tasks and making them automatic. The way we live, and work has been completely transformed. And this evolution of the home and office has major implications for the field technicians that service appliances, as well as the organizations connecting techs to customers. Berg Insight predicts the smart home market will grow from $20 to $58 billion by 2020, while Grand View Research estimates the global smart office market size will boom to $57.05 billion by 2025. This domestic and commercial technological innovation begs this key question: how do field service organizations like yours prepare for IoT smart home and office clients? The Internet of Things is changing field service. Modern Field Service companies who want to evolve need to recognize that while it often takes months to find a customer, it takes mere seconds to lose that customer. To stay competitive in this evolving marketplace, Field Service Management companies need to embrace innovation and adapt to be successful. So, what does successful adaptation look like on a day-to-day basis? It means looking for and adopting ways to use connected devices to improve field service. Companies must not only maintain a strong brand and a quality product; they must also guarantee and provide a satisfying customer experience, from start to finish. Enter predictive Field Service Management solutions, powered by IoT. Utilize voice-activated appointment scheduling software: Enable and adopt voice-activated dispatch software to set up service windows to ensure that setting up service for home and office appointments is quick and easy for customers. Once customers integrate with Amazon Alexa, Google Home, or Microsoft Cortana, they can ask the IoT-enabled devices to schedule service calls within a timeframe that works for them. Sync with connected devices, like smart locks: If your company provides cleaning services, for example, connecting with your customers who utilize smart locks enables cleaners to safely and easily enter customers’ homes, with permission. Shift to real-time, predictive maintenance: Field service technicians use mobile workforce management software to fill up their schedules so they’re busy, not overloaded or under-utilized. The end goal: Gain a competitive advantage by learning and connecting to the technologies that your clients are using. Field service organizations must maximize efficiency, minimize errors, and integrate IoT data for optimized IoT smart home field service solutions. 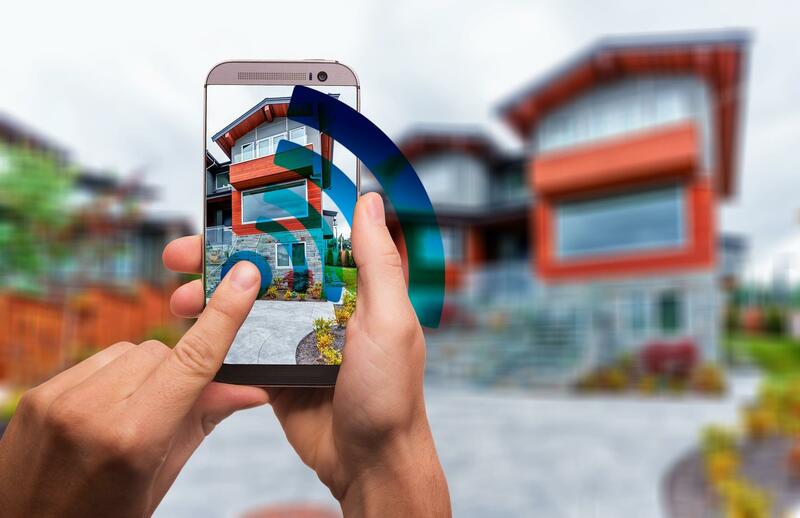 Who benefits from field service integrations with IoT Smart Homes? Your business, as well as your clients, will reap the benefits of this modern integration. By connecting your work order app to connected devices in people’s homes, you can send the right technicians to the right customer - at the right time - without human intervention. Smart, connected devices will let you know when service is needed, allowing you to deliver real-time customer service in any capacity. 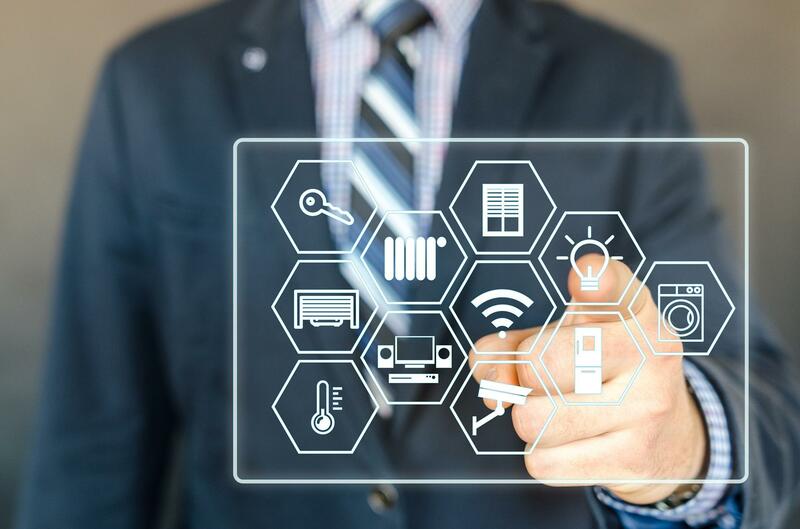 IoT home devices like Apple's HomePod, Google Home, and Amazon's Echo are vehicles for digital transformation in IoT-enabled Smart Homes and smart offices and at the forefront of Field Service’s rapid evolution. Devices within an IoT Smart Home or office are no longer reactive machines that require buttons to be pushed. IoT has empowered them to break out of their formerly static, siloed states to initiate intelligent conversations with other devices in their ecosystem. Field service organizations can integrate smart devices’ apps, Alexa and Google Assistant, to give customers what they need without even picking up the phone. When you integrate a Field Service Management app to customer devices, customers in a smart home or office can trigger field service requests through Alexa and Google Assistant commands. When your field service team becomes as convenient as saying “Alexa, schedule a service call for the washing machine on Tuesday,” customers will be raving about your responsiveness. The best part is when you show up with exactly what they need to fix their smart appliances. The most salient benefit of machine-to-machine communication for field service organizations is the ability to anticipate IoT appliance and smart device issues before customers even know there is a problem through AI-empowered field service management. Smart homes and IoT devices come with a price. IoT home device owners know that with the higher price tag comes the benefit of smart service. Whether you’re an OEM deploying niche field techs or a field service company specializing in multiple IoT-enabled electronics and appliances, customers expect that you’ll be able to respond to service calls faster than ever – even before a call is made. If you’re an OEM and don’t have a platform that integrates smart home data, you could miss out on the benefits of one of fastest growing sectors of field service. Send your field techs out feeling like heroes by fixing lights, thermostats, and kitchen appliances before home and office customers experience the problem. Contractors and employees are not always responsive to phone calls, while they are finishing up another job or on the road, leaving subsequent customers in the lurch and dispatchers frustrated. IoT smart home customers are on the go, and they won’t wait for three hours only to have a technician show up at the end of the service window. Digital transformation in the home and office translates into an assumption of superior service, including response times and availability that match the pace of life for the owners of IoT home devices. 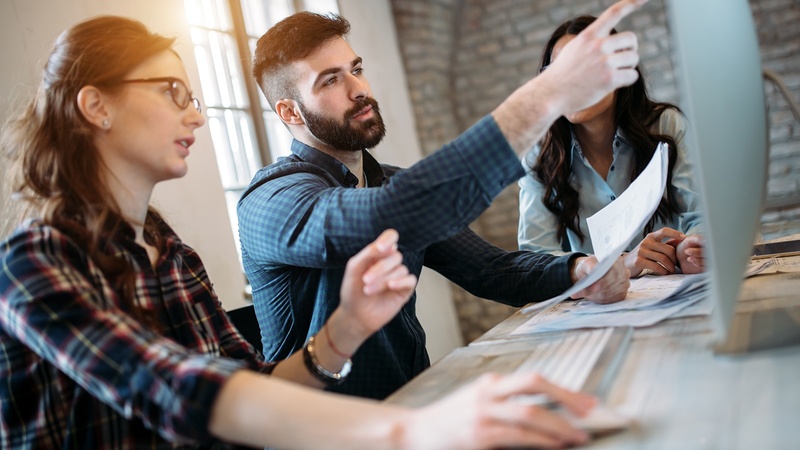 Hybrid workforces also rely in part on contractors who are attracted to the autonomy and flexibility that innovative field service management organizations provide. Attract and nurture the best field service team by providing a mobile workforce solution . Give field techs the ability to determine their own hours and engage directly with customers through a two-way communication platform. When you put the power back in customers’ and field techs’ hands, you’ll see an increase in both customer and field tech satisfaction. This results in better reviews, lower turnover, and a higher ROI for your field service organization. Don’t let techs show up to a home or office empty-handed. Ensure that your techs have all the parts they need by integrating inventory management for goods in stock with predictive maintenance data from connected homes and businesses. IoT home devices like smart kitchen appliances and smart washing machines send data to your Field Service Management app and alert you when items are in need of repair. When you use a single platform to integrate your field service organization’s operations, IoT smart home data is transformed into actionable inventory management information. Most field service organizations’ inventory management is a game of playing catch up to past jobs and using past needs to forecast future parts orders. All you need for smart inventory management is a single platform that integrates customer data with your raw inventory stats. By 2020 the number of IoT connected devices in the U.S. alone is expected to grow to 260 million, four times as many IoT smart home devices as were in use in 2016. 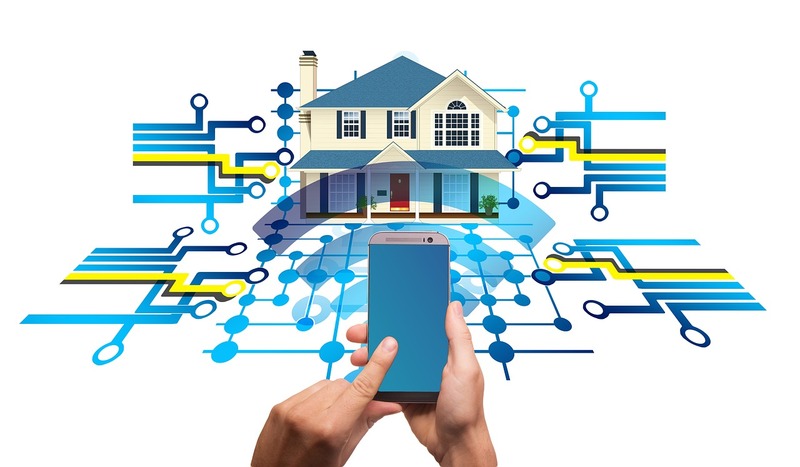 Integrating IoT solutions for smart home and office customers saves your field techs time by providing proactive diagnostic insights straight to OEMs and gives customers the superior level of service they expect for IoT home devices. It also saves you the time of rushing to find a suitable IoT solution down the road when the demand for IoT home devices dramatically increases. A digital transformation wave is coming for all service companies, and the first field service organizations to adapt will get the lion’s share of field service customers with IoT smart home appliances, thermostats, and electronics. The faster OEMs integrate a smart home solution for field service techs, the sooner they provide an elevated level of insight and customized care for each client.. Remove work order apps that aren’t working for you and get rid of complicated appointment scheduling software that requires manual effort to sync contractor schedules and customer availability. Eliminate frustration for customers and field service techs by letting customers self-select the service that best fits their needs, automatically sync the best-fit contractors through strategic workforce management tools, and ensure availability of parts through smart inventory management. In short, use a single IoT-enabled mobile workforce management solution to improve operations, lower costs, and provide the pinnacle of proactive customer service. See how an AI-empowered strategic workforce management app helped the B2C field service team at AIG respond proactively to service calls, rank emergency jobs as priority, and increase customer satisfaction through customer-centric KPIs and correlated data. Ensure you have the right part for your customers, every time, thanks to cloud-based connected apps that update inventory in real-time. Let powerful, proactive route optimization technology create optimal routes based on crew availability and real-time customer needs, increasing first-time fix rates. Integrate with customers’ connected devices within homes or offices to dial into data that allows field service technicians to work smarter and be more prepared when they arrive. Easily communicate with current and prospective customers using mobile workforce management software that manages end-to-end customer experiences. Empower technicians with instant feedback and real time reviews – information that significantly improves and optimizes the ways team members solve current and future customer issues. Connect internal and third-party workforces with customers and enable agile scheduling via powerful software that’s easy-to-use and always available on a mobile device. Use an advanced customer engagement platform to deliver exceptional customer experiences, while increasing operational efficiencies, for small and large customer bases. Impress your customers and drive long-term loyalty with on-demand service provided at off-peak and peak times – and even in hard-to-reach locations. Take advantage of forward-thinking mobile workforce management software that connects employees and contractors with the information they need, exactly when they need it - whether they’re actively servicing a customer or between appointments. Leverage in-app customer ratings to get real-time feedback about what the customer needs and how the customer feels about the overall service experience. When it comes to actually implementing and deploying ServicePower’s powerful platform, we’ll assist customers with the implementation of the field service software, ensuring it’s customized to meet your unique business needs. Implementation and deployment takes around two to four weeks, from start to finish. And as the field service software evolves and improves over time, ServicePower will demonstrate new product capabilities and facilitate your company's adoption across multiple departments. We understand the importance of effective change-management execution, so we’re committed to an “adopt and adapt” philosophy. We ensure our platform preserves effective business processes you already have in place, while offering strategic improvements using IoT technology. Access on-demand integration support throughout this whole process so you feel supported, empowered, and focused during setup and launch. How do field service management technicians actually connect to devices within IoT smart homes and smart offices? IoT home devices connect with other devices using flexible, REST APIs. Using a powerful IoT platform, the gap between the device sensors and data networks is bridged. This is all made possible thanks to backend apps that manage the data generated by hundreds of sensors. How are you different and better than other IoT platform providers? 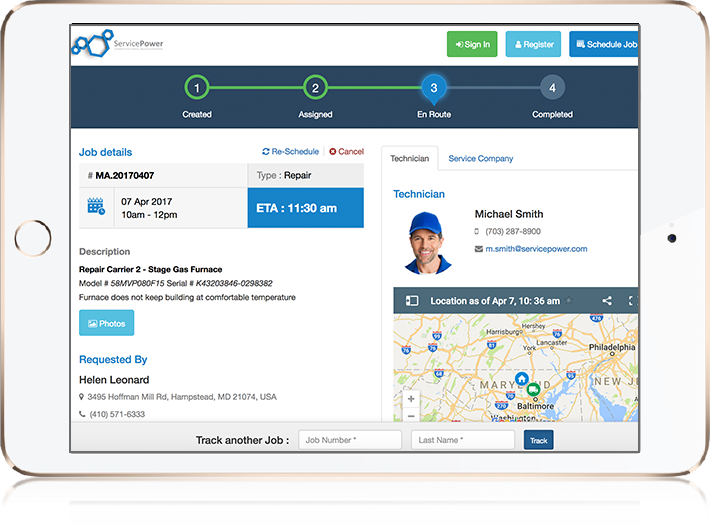 ServicePower is the leading AI-enhanced platform for synchronized field service management, incorporating scheduling software, deployment, a two-way customer to field tech communication platform, and business analytics into a single location. Our IoT service platform deploys quickly in 2-4 weeks, depending on the size of your field service operation, and provides instant insight into every level of operations. What are the most common challenges field service technicians face when servicing devices within IoT smart homes and smart offices? Fortunately, with a smart workforce management tool like ServicePower’s platform, your team is enabled by predictive maintenance alerts that pinpoint IoT home device issues, available parts through proactive inventory management, and deployment of the right technician for the work order. What is the difference between manual or rules based scheduling and AI based schedule optimization? Scheduling work can take many different paths, which ultimately provide varying levels of automation, productivity and customer satisfaction improvements to the organization. Often, smaller, less complex organizations rely on basic or manual scheduling or rules based scheduling. Basic scheduling typically entails building and managing a schedule manually. This is clearly labor-intensive, doesn’t consider travel, nor is there computer logic applied to scheduling decisions. There is no automated handling of schedule changes or exceptions. Most interfaces are very similar to Microsoft Outlook with perhaps some drag-and-drop functionality. This approach isn’t scalable, so as the enterprises evolve and become more complex, basic scheduling can’t evolve with it and so it becomes necessary to climb the technology ladder. With more volume and complexity of field service operations, manual schedules are very quickly ferreted out as inefficient, costly and inaccurate. The next rung up the ladder, simple computerized logic, often mistakenly called ‘optimization’, is used to automatically build the schedule, based on technician skills, availability, and service level agreements. This approach decreases the overhead of manual scheduling. However, it can’t manage jobs which cannot be assigned without violating a rule. This approach only fills white spaces or ‘availability’ within a schedule, without any automated re-scheduling or ‘re-optimization’. Schedule optimization is recognized generally by the field service industry as necessary when operations 1) employ large workforces and 2) have complex scheduling requirements. In both those cases, basic nor rules based solutions can handle the volume of work, complexity of scheduling requirements, nor, perhaps most importantly, intraday changes. Schedule optimization produces demonstrable improvements in productivity given all of the above. Schedule optimization requires artificial intelligence (AI) algorithms, and can also use historical data such as asset ownership and service history combined with machine learning to produce automated, efficient and highly productive schedules. If an AI backbone is missing, what you’re dealing with is more likely a rule-based solution. Rules based schedule tools can produce productivity. However, once complexity is introduced to your scheduling process, rules break and the customer is at risk. A contractor is an independent company or mobile worker with whom a field service or mobile workforce organization has on boarded, credentialled and negotiated rates and expectations for service delivery. Contractors cannot be treated by the mobile workforce organization as an employee and schedule them as such, since, most often the contractor receives work from multiple sources. How can you manage contractors providing field based services? ServicePower’s contractor management solution offers a true multi-tenant SaaS solution used to manage 3rd party contracted networks, including dynamic job dispatching with robust rules and ranking logic, real time status collection and mobile dispatching. The solution enables contractors to manage profiles, dispatched jobs, claims, payments and view collaborative analytics, while clients govern whom, what and where work is performed on their behalf. We'll give you a personalized demo to show you how to better manage your operations for IoT Smart Home service.